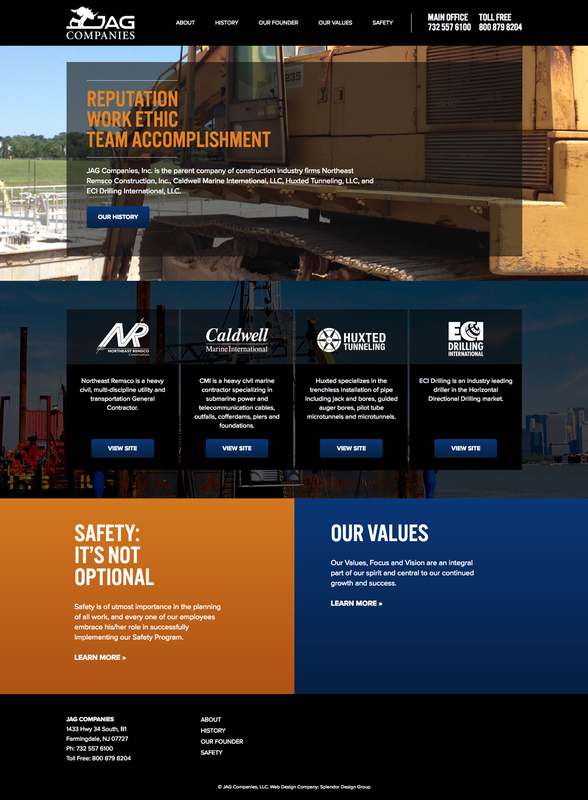 Website Design for JAG Companies, Inc.
To create a website for JAG Companies, Inc., the parent company of several construction industry firms. This site ties together JAG’s companies with a historical timeline, their founder’s bio, and company values. Featuring wide photography and bold type, the site has a clean yet strong and construction-oriented feel.